Chances are, your toddler has already left his “artistic” mark somewhere in your home. Whether he draws swirls in his oatmeal, or left an original on your wall, compliments of his red crayon, kids love to express themselves via art. There are many eco-savvy tools available which encourage your child’s instinctual desire to unleash his designs on the world. Here are some that will enable him to keep the planet “green,” while painting it with rainbows. Tots show an interest in creating art beginning as early as 12 months old; but wielding a crayon, marker or paint brush at this young age is still a tall order, even for a pint-sized Picasso. Finger painting is wildly popular among the knee high contingency because they are pros at using their fingers. Many have begun “pointing” to everything, and they delight in making sweeping statements across paper, leaving trails of bold colors in the wake of their tiny digits. The best finger paints to choose for your toddler should be non-toxic and eco-friendly. Kids are always putting their fingers in their mouths, and once they are coated in a cool new color, the urge to nibble will be even more tempting. Selecting paints that aren’t harmful to your child is key. 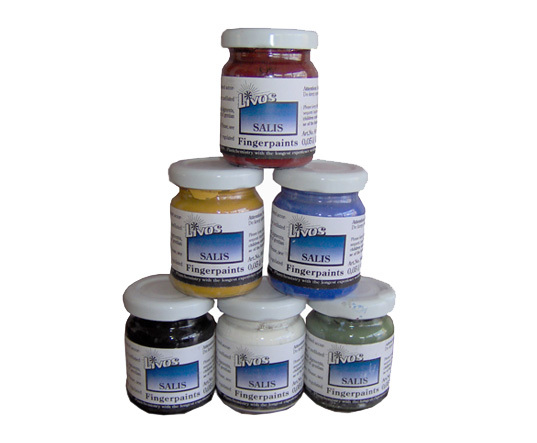 LIVOS SALIS Natural Hemp Finger Paints for Kids, sold by Kidbean.com are free of petrochemicals. These hemp based, vegan paints are colored with vegetable dyes, and they contain no VOCs. A set of six paints includes the colors: red, white, yellow, blue, green and black. If you have a little extra time on your hands and want an economical alternative to pricey paints, you may also consider making your own finger paints, so you know exactly what is in them. Check out Planet Green’s quick, simple recipe to Make Your Own Finger paints. Every blossoming artist deserves her very own easel on which to place her blank canvas. ModernTots Art Time Easel is durably made to meet the enthusiastic demands of toddlers. 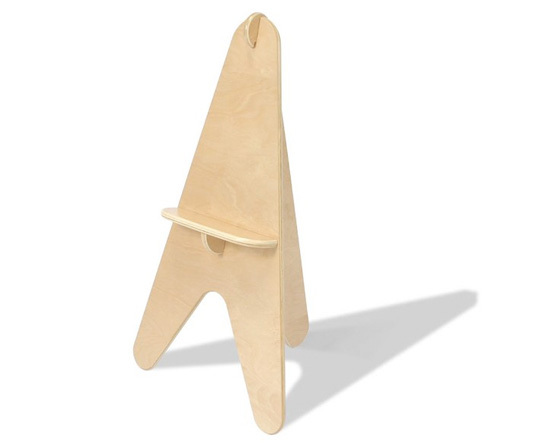 This easel is comprised of three pieces of formaldehyde free SmartWood, certified environmentally friendly by the Forest Stewardship Council. It is painted with a non-toxic water-based finish. Make room on your refrigerator door, because your little one is about to decorate your life on a whole new level. Absolutely DIGG the super simple recipe and instructions for the diy version!!! Thanks for posting this- I'm excited to try this out! Hi Mamamy! Thanks for taking the time to comment. I agree, the DIY finger paint recipe is a good one, and I love the fact that it is an inexpensive, green alternative! Happy painting! Chances are, your toddler has already left his "artistic" mark somewhere in your home. Whether he draws swirls in his oatmeal, or left an original on your wall, compliments of his red crayon, kids love to express themselves via art. 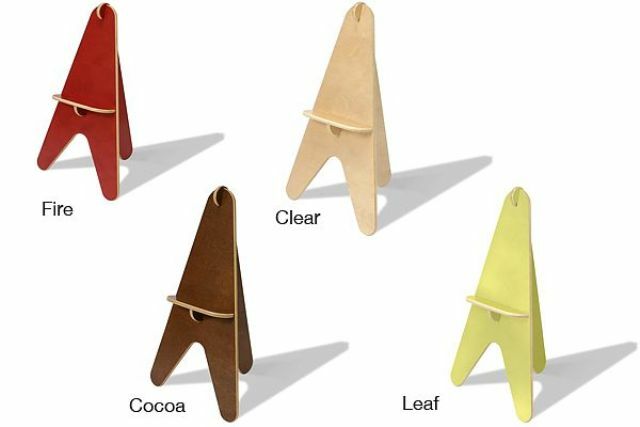 There are many eco-savvy tools available which encourage your child's instinctual desire to unleash his designs on the world. Here are some that will enable him to keep the planet "green," while painting it with rainbows.